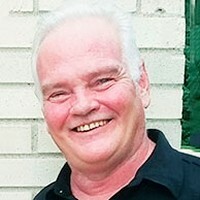 Starbird, Mark Thomas Age 63 of Golden Valley died peacefully on November 7. Survived by parents, Craig and Nancy Starbird, brother, Jeff (Lori); sister, Diane Malone (John); sister, Sandy DeMars (Tim); niece and nephews, Lindsay and Willie Starbird, Ryan (Sarah), Kevin and Jack Malone and godmother, Judy Gleason. Memorial mass Saturday, November 10 at 11 AM at the Church of St. Margaret Mary, 2323 Zenith Ave N, Golden Valley. In lieu of flowers, memorials preferred to the Church of St. Margaret Mary. Visitation at the church one hour prior to mass.